4000 Premium Surface Mounted Door Closer is for All Medium to High Traffic Commercial Storefront/Industrial Door Applications. This Closer is Manufactured from High-Grade Cast Iron, Packaged with All-Weather Fluid. 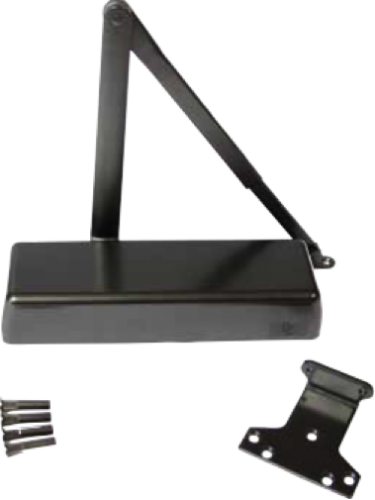 Packaged with Parallel Arm Bracket, Wood/Metal Self Tapping Screws, Full Cover, Mounting Templates Included for Regular Arm, Top Jamb and Parallel Arm Mount, Allen Head Adjustment Valves.